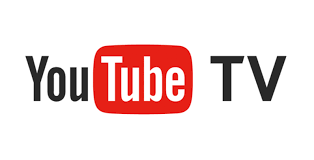 YouTube is the largest video sharing website in the world. In 2017, an estimated 400 hours of content were uploaded to YouTube every minute. Sadly, you might not enjoy the vast YouTube content owing to censorship. However, you are in luck for this article shares with you the easiest way to unblock YouTube regardless of where you may be. YouTube is an American based video sharing platform created in 2005. Its founders, Steve Chen, Chad Hurley, and Jawed Karim (former PayPal employees) sold YouTube to Google for $1. 65 billion. YouTube allows users to upload, view, share and comment on videos. You can also add your favorite videos. To watch YouTube videos doesn’t require any form of registration. However, Registered users can upload unlimited videos on YouTube. They can also add comments on videos. To watch potentially inappropriate content, you must be a registered user. At the same time, you have to affirm to be 18 years and above. 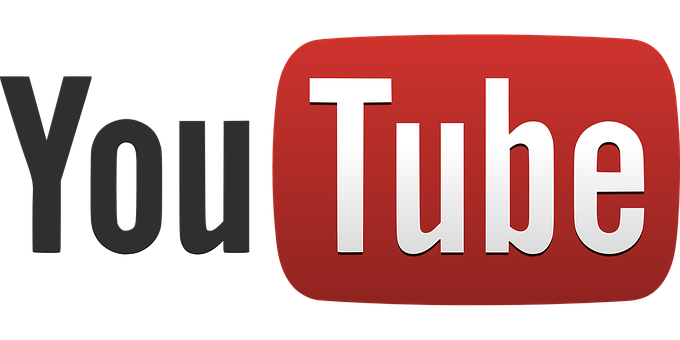 YouTube monetizes the YouTube Videos with the Google AdSense program. They also offer YouTube Premium, a subscription-based service that provides ads-free streaming. The year 2017 saw them launch YouTube TV. Why is YouTube blocked to some users? Some governments exercise massive internet censorship for their citizens. A good example would be China. China has the Great Firewall of China, the most notorious firewall in the world. Citizens and visitors to China are blocked from watching not only YouTube but also many other major websites. Other countries that censor YouTube are Iran and North Korea. In fact, in North Korea it’s not just a ban, watching YouTube could result in unspecified punishment. Schools are known to block YouTube access. They deny student’s access to YouTube by the use of smart filters and Firewalls. Students crave YouTube not only as a tool to satisfy their appetite for video viewing and sharing but also as a tool-laden with lots of educational guides and hacks. Many employers censor YouTube in the workplace. The employers pay their staff to work. However, most employers have an issue with employees who get distracted by YouTube videos, and other social platforms. Since it’s difficult to keep a close eye on all the employees in the workplace, they find it easier to block YouTube in the workplace. If you are frustrated by the YouTube block, a VPN is the best solution to bypass the YouTube censorship. No matter your location or circumstance. Be it in a heavily censored country, at the workplace, or even at school, a VPN will provide you with a different IP address that spoofs your location to appear as if you are accessing YouTube from a different region other than your actual location. That way, you can easily unblock YouTube. A VPN has servers across the world. So, if you are in a country like China, Iran, or North Korea, you can connect to a VPN server from another country where YouTube is accessible. That way you can unblock YouTube hassle-free. Choose a VPN among our below list of the best VPNs or use NordVPN – our best VPN for unblocking and streaming content. Turn on the VPN and connect to the ideal server for your circumstance. 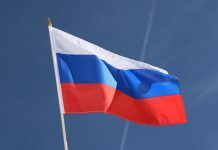 If you are in a censored country, you need to connect to a server in another country that isn’t censored to unblock YouTube. If it’s at work or school, you need to connect to the nearest server to get the best speeds. Open YouTube and enjoy your desired YouTube videos without restrictions. Your efforts to unblock YouTube can hit a snag if you do not choose the best VPN service for the task. There are thousands of VPN services in the market each claiming to be the best. You might be fooled to end up with a useless VPN service. 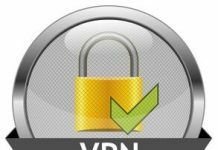 I have compiled a list of the 7 best VPNs that will work to unblock not only YouTube, but also Netflix, Hulu, and many other streaming services. The VPN services also bypass notorious firewalls including the Great Firewall of China. NordVPN is our all-around best VPN. It has all the features you’d require from a competent VPN service. In the first place, it’s a no log VPN service meaning that it does not keep a record of your browsing sessions. All the websites you visit using NordVPN remain known only to you. Even if NordVPN were to be pressured to release your logs, they wouldn’t have any. Second, the VPN has its base in Panama. The Panama location is excellent for privacy as there’s no government spying. On top of that, they avail to you more than 4,838 servers across more than 62 countries. Broad server locations will not only help you to unblock YouTube but also other streaming services like Netflix and Hulu. You should even know that connecting to the nearest server will enable you to have the best speeds. Nord exhibits fast speeds, they have robust security features in place to secure your online data, and they also allow torrenting. They use an Internet Kill Switch just in case the VPN connection falls. You can connect the VPN simultaneously on up to 6 devices. ExpressVPN is an excellent VPN that provides top of the class service to its users. 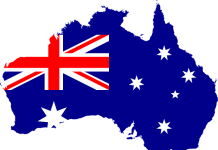 The VPN is a no logs VPN service and has its base in the British Virgin Islands. The no logs policy and the excellent location makes ExpressVPN among the best VPNs to unblock YouTube. In fact, it’s also among the best VPNs for streaming websites such as Netflix, Hulu, Amazon Prime, and many others. Furthermore, they allow P2P file sharing on their network. You can use any of their 2,000 servers in more than 94 countries to unblock YouTube and any other blocked websites. If you are in a region where you need to secure your data, ExpressVPN comes in handy with an AES 256-bit encryption that’s uncrackable. They also use a Kill Switch and even the invaluable Split Tunneling feature. Split Tunneling enables you to choose which of your traffic should route through the VPNs secure tunnel and which should pass through your ISP. They allow 3 concurrent connections using a single account. TorGuard is among the VPNs that have what it takes to unblock YouTube no matter the region you may be. They employ the stealth technology to bypass notorious firewalls including the infamous Great Firewall of China. Apart from that, the Nevis, West Indies based VPN is a strictly no logs VPN service. They have more than 3,000 servers in over 55 counties around the globe. The VPN has robust security features to secure your data. They implement all the major VPN protocols. If you are looking at torrenting, TorGuard is excellent at protecting your torrenting activities. TorGuard is easy to use, works with all major platforms and has some of the best VPN speeds. And they protect you against all VPN leaks. CyberGhost is a VPN service that’s growing fast. And they have excellent VPN features too. In the first place, the VPN has its base in Romania. The Romanian Supreme court declared Data Retention Laws unlawful. Also, the VPN does not log its user’s activity. Hence you can unblock YouTube with CyberGhost, and the only person that will know is you. CyberGhost uses robust AES 256-bit encryption to protect your online data. They provide you with 2,000 servers in more than 60 countries. The speeds support streaming in HD quality without buffering. Security is top notch. The VPN is user-friendly and supports all major operating systems. CyberGhost allows simultaneous connections up to 7 devices which is ideal for the family setup. Private Internet Access (PIA) is an American based VPN service. The US is not a favorable location for a VPN service. However, Private Internet Access has a strictly no logs policy in place. Meaning that even where they are pressured to release your logs, they won’t have any. In fact, they once shut down their operations in Russia after Russia seized their server and demanded that PIA start to log its users. That goes to show you how PIA is serious about protecting its users privacy. The VPN is easy to use and allows concurrent connection up to 5 devices using a single account. Security wise, Private Internet Access uses AES 256 military-grade encryption to secure your packets of data. They have more than 3,152 servers in more than 33 countries. You can can use any of their servers not only to unblock YouTube but also unblock streaming services as well as torrenting. The VPN does not leak which is important given their location in the US. That denies the US government any opportunity to spy on its users browsing activities. I like that the VPN also helps to block ads, trackers, as well as malware. In summary, I can say that Private Internet Access is well placed to help you unblock YouTube, YouTube TV, Netflix and many other streaming services. VyprVPN is a Switzerland VPN service that exhibits incredible speeds in most of my speed tests. Though they keep connection logs for a period of 30 days, they do not log your online activities. They have a base in Switzerland, an excellent VPN privacy location. No logging, a superb privacy location, leak protection and the use of an Internet Kill Switch means that you can unblock YouTube and watch your desired videos with no trace. They use AES 256-bit encryption to secure your data. Moreover, they have their proprietary chameleon protocol that’s excellent at bypassing restrictive networks making it ideal for users in heavily censored regions like China, Iran, and North Korea. The VPN has 700 servers in 70 worldwide locations. 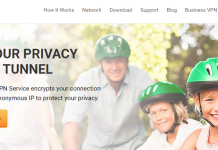 PureVPN is a HongKong based VPN service that has a large server location. We are talking about 750 servers in more than 141 countries. The broad worldwide server coverage is excellent for unblocking YouTube and many other streaming services. They also provide you with P2P optimized servers. PureVPN embraces a strictly no logs policy that ensures your privacy remains just that-private. They have excellent streaming speeds and allow you to connect up to 5 devices at the same time with a single account. Security wise, PureVPN gets you covered with the industry standard 256-bit encryption. 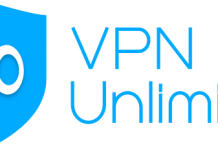 The VPN also provides the invaluable Internet Kill Switch, as well as a NAT Firewall and DDOS protection. The above VPN services will also enable you to unblock YouTube TV regardless of your location. YouTube TV is a paid streaming subscription service that’s only available in the US. Subscription to YouTube TV allows you to access original premium content from the leading USA broadcast networks, i.e., ABC, FOX, CBS, ESPN, as well as popular cable networks. If you reside or traveling outside of the U.S, you are blocked from accessing YouTube TV. Subscription to any of our best VPNs for YouTube will enable you to unblock YouTube TV as well. Since YouTube TV is only available in the US, you will have to connect to a VPN server in the US. That way, you’ll get a USA IP address that’ll enable you to sign up for YouTube TV. Although YouTube TV is available everywhere in the US, Live TV streaming is regionally locked. It’s only accessible in Los Angeles, Chicago, New York City, San Francisco, and Philadelphia. If you reside in the US and you are blocked from accessing YouTube Live TV. Don’t worry, subscribe to a competent VPN, and connect to the VPN server in any of the cities that enjoy YouTube Live TV streaming, spoof your location and that’s it. This guide shows you how you can unblock not only YouTube but also YouTube TV. The VPNs in this guide have lots of servers in the US that will enable you to bypass regional blocks. Even if you are in the US, the VPN’s will help you access YouTube live TV that’s accessible in only 5 USA Cities. Make sure to use a competent VPN. 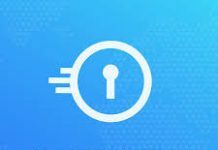 The best VPN is one that does not log your browsing activities, is located in a privacy-friendly region, has a massive network of global servers, uses robust encryption, and completely anonymizes your traffic. It would help if you also watched out for an Internet Kill Switch. The Kill Switch disconnects your internet whenever your VPN connection falls thus preventing your traffic from exposure. Inbuilt leak protection should also be among the criteria for choosing the best VPN for unblocking YouTube and other streaming services.